These delicious Apricot Bliss Balls have no added sugar or preservatives. They are the perfect snack for adults and kids alike. I make a double batch and freeze half. A double batch makes about 24 balls. 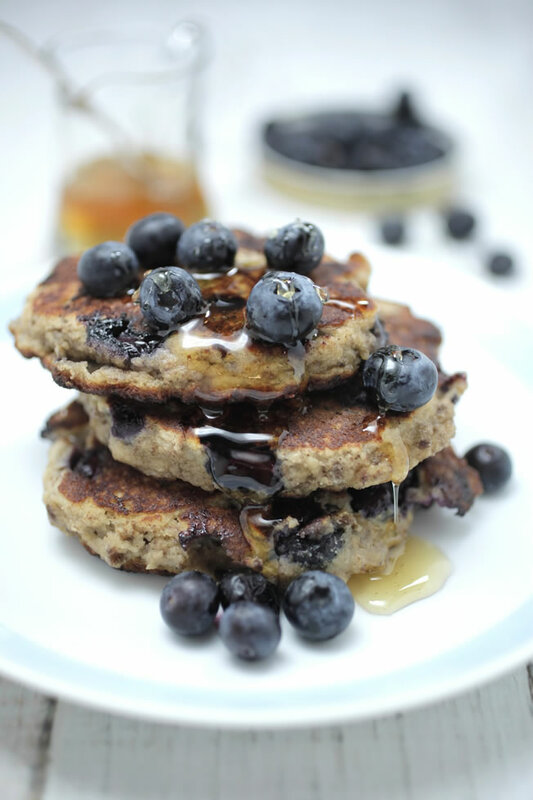 Such a delicious, quick and healthy snack! In a food processor or blender, combine all ingredients blend until mixture forms a ball. Takes a few minutes. 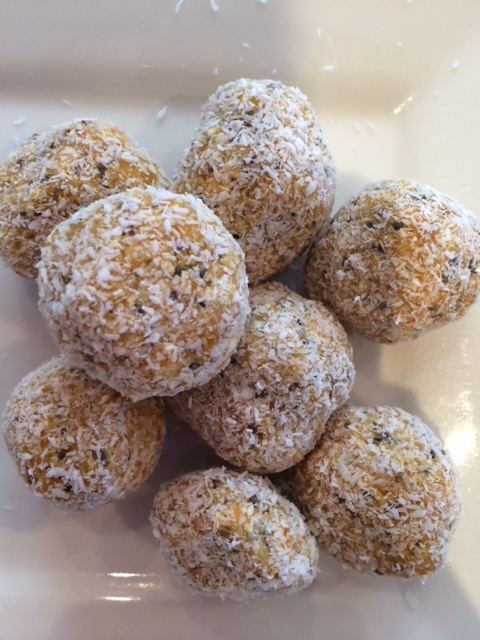 Place extra coconut on a plate and roll mixture into small balls and roll in the coconut. Place half in container in the fridge for approx. 45 mins. Place the other half in a zip lock bag in the freezer for later. The problem I have with these is trying not to eat them all the day you make them. Enjoy!